Wonderful home available in Park Hill. 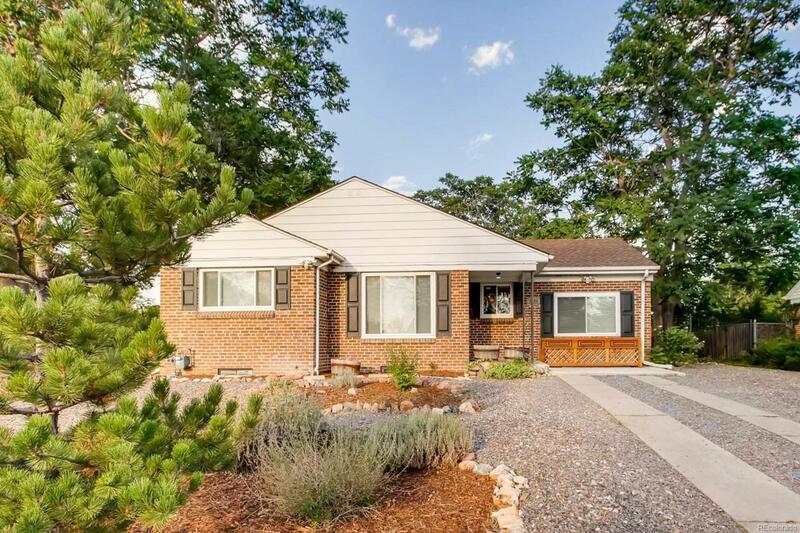 Beautifully remodeled, well maintained ranch style home. Easy access to Stapleton, I-70, Downtown, City Park, The Denver Zoo, and many other amenities. Mix of old and new. Two generous bedrooms upstairs, a legal bedroom in the basement. Open kitchen/dining room/living room concept. Updated baths both upstairs and down. New carpeting and paint in the basement. Hardwoods upstairs. Great storage, super entertaining spaces both inside and out. Huge lot ready for your imagination, though nicely kept. New (2017) two car detached garage, Roof was replaced in 2010, sewer line replaced in 2017, fence replaced in 2013, carpeting 2018, egress window 2017, electrical meter moved to exterior 2017, new windows, 2017, the attached shed was removed allowing for a larger patio space. Awesome opportunity to purchase a turn key home. *Early garage conversion allows for a generous kitchen/dining room space....buyer responsible for verifying measurements.